Early Victorian Plate - Howarth? Can anyone help clarify? 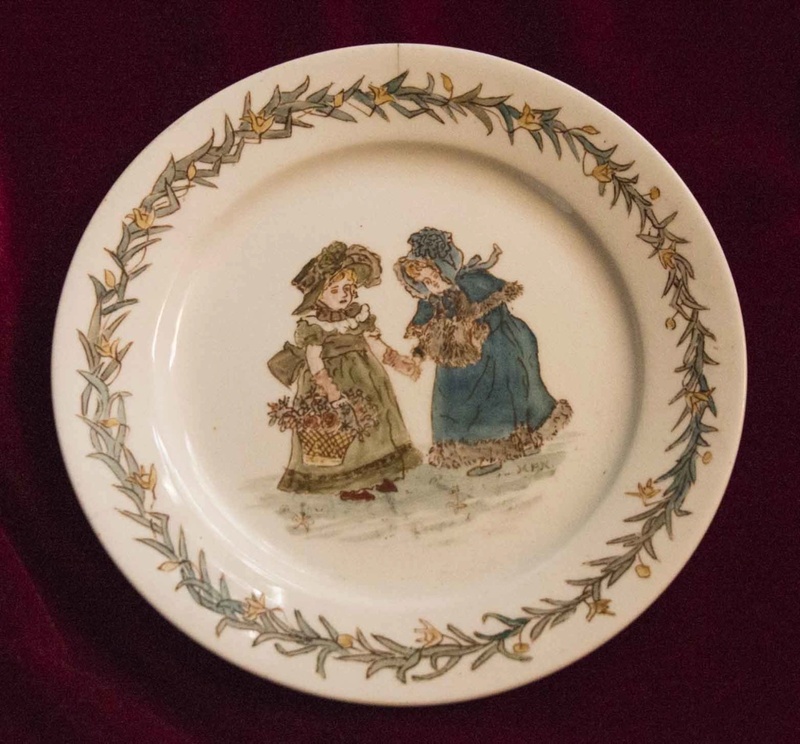 This rather twee plate is signed and dated on the back and has (presumably) the artist's initials to the bottom right of the decoration. I think the date reads 1835 and the factory (written) says '? + B Howarth'. The artist's initials appears to be 'MFN'. Does anybody recognise the factory/artist? 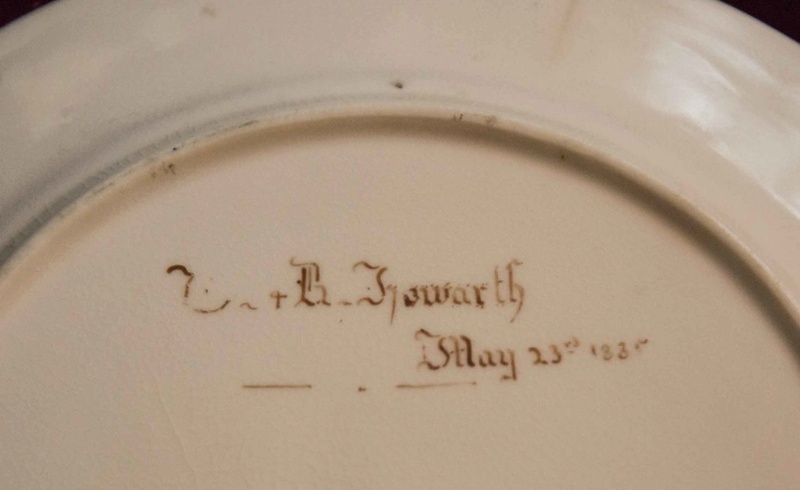 Re: Early Victorian Plate - Howarth? Can anyone help clarify? It looks like a bought in blank that has been hand decorated. There was a great fad for such things back then, driven by a store that held regular competitions and inspired such a craze for it that they had thousands of entries every year and it was lampooned in the papers. I had a painted plaque with a similar date which had been awarded a prize by them; i thought I had posted a thread about it but im not finding it. I’ll see if I can dig up the details. Thanks Naomi, thats interesting. So presumable the paint is just applied to the ready-made plate: does this mean that such plates were not subsequently 'fired to fix the decoration?